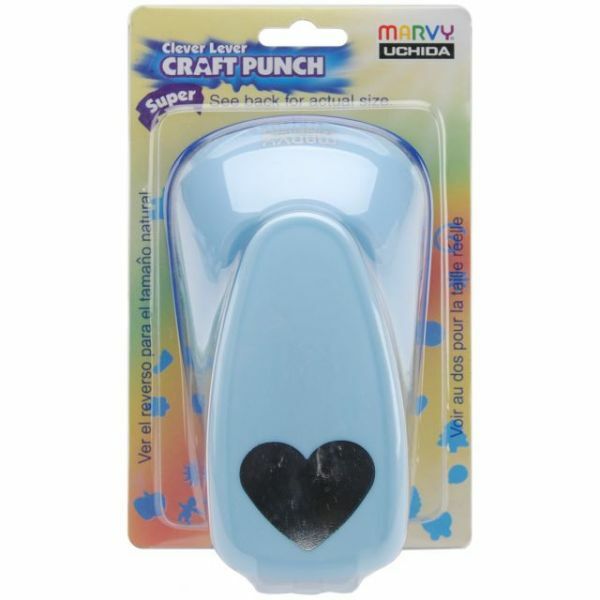 Clever Lever Super Jumbo Craft Punch - MARVY UCHIDA-Clever Lever Super Jumbo Craft Punch. These punches feature a lever design that makes punching heavy cardstock easier than ever! The bottom of each punch has a sliding cover at the cutting edge to catch your cuttings and punch has a small thumb punch lever. Cuttings measure approximately 1-1/2in to 2in. Imported.